I have to be honest with you; otherwise, it wouldn’t be a true confession. And that’s hard, really hard for many to hear. Especially after all you’ve heard from doctors and all you think you know about your condition. But before I talk about my confession let me say a few other things first. Four years ago something happened to me that changed my practice forever. After facing having to turn away patients, or refer them out for medical intervention, which most likely meant dangerous drugs or surgeries, and having no hope, I get a phone call. My close friend and colleague Dr. Jeremy Alosa, whom I graduated Chiropractic school with, and had been practicing in Honolulu told me about the amazing results he’d been getting providing laser treatments and a specific homecare protocol to his patients. THE EXACT SAME PATIENTS I HAD BEEN UNABLE TO HELP! And not just any laser, but a HIGHER POWERED 15 Watt Class IV laser. The results were so great he was inspired to write a book about it. The book is titled The Laser’s Edge and is a must read for anyone with chronic pain and I’m sure anyone reading it will be able to relate to at least one of the 200 different patient testimonials. So what happened next, you want to know? I was so inspired by the results he was getting in his office I started treating MY patients with a 25 Watt Class IV Laser, especially those that were not responding to Chiropractic or physical therapies, INCLUDING those who’ve said they’d tried everything else. And I started developing my own homecare protocol from my nowledge of being an Applied Kinesiologist and years of experience. And, WOW, was I impressed with the results. You can view many of my patient testimonial videos here. My treatments are unique and because they are unique I often get results no one else can. This is what a 25 Watt laser massage ball looks like. The power of the laser heats up the massage ball so patients can enjoy a warm and relaxing treatment that removes pain and inflammation quickly. 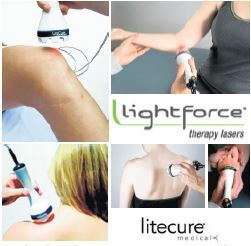 You Benefit from an Amazing Offer- Look; I know people are skeptical about this fairly new, revolutionary treatment. The best way to get over any skepticism is simply to try it. That’s why I’m offering a Consultation and my colleague’s book to the 1st 20 callers for just $99. If I feel I can help you, you will receive a Comprehensive Diagnostic Exam and 2 Laser treatments AT NO CHARGE. (Medicare rules apply. Not all applicants will qualify. New Patients only.) The normal fee for just the consultation and examination is $350, so YOU WILL SAVE a considerable amount of money by taking me up on this offer. But please call 818-824-8244 right away because this offer expires SOON. On your 2nd visit I will tell you exactly how many treatments I feel you will need and how much it will cost based on what I find during your consultation, exam, and response to the 2 treatments. At that point you decide if you want to continue with care. No obligation or hidden costs. Just the opportunity to finally be pain free. Please, I hope there’s no misunderstanding about quality of care just because I have a low introductory offer. My qualifications… I was on the Dean’s List of Distinguished Students at the State University of New York at Albany, a graduate of the Southern California University of Health Sciences, Los Angles College of Chiropractic, and Certified from the International College of Applied Kinesiology. I’ve been entrusted to take care of so many from tiny babies to pro athletes. I just have that low fee to help more people who need and deserve the care.